So how can customer experiences of museums online be improved? 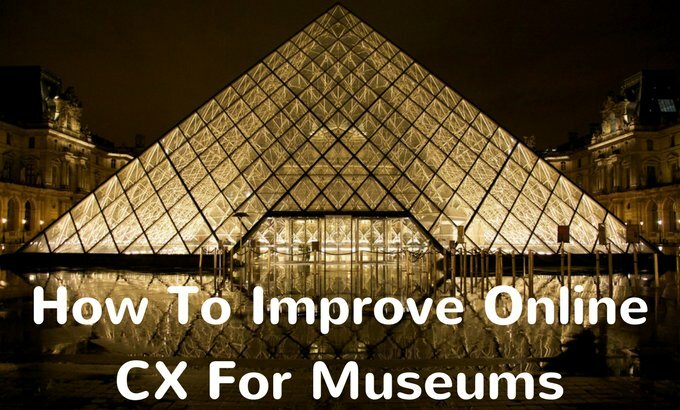 Let’s take a look a how museums can optimise customer experiences online, with the help of museum software, so your museum’s online customer experiences match the high standards of your carefully crafted experiences in-house. Customers interested in visiting your museum want to book with ease online, from the comfort of their homes, at any time of the day. This means your booking interface needs to be simple, intuitive and easy-to-use on desktop and mobile. In particular if you’re seeking to attract older audiences who are proven to be twice as concerned about sharing private data online as millennials, you’ll also need your booking interface to appear secure and trustworthy. As well as booking online, customers need to be able to browse events and exhibitions, and access important information such as opening hours and accessibility information with ease. You should therefore ensure that your booking platform displays this information clearly and in a way that’s aesthetically pleasing too. 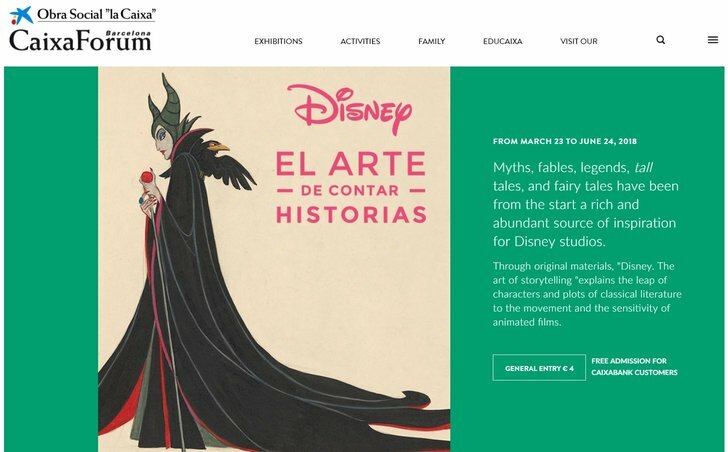 A museum software can equip your museum with a pre-designed, easy-to-access booking platform and e-commerce portal, meaning you don’t have to reinvent the wheel, simply update your booking interface so you can keep up with the times and give your customers a great booking experience on mobile and desktop. Recent reports from the National Endowment for the Arts reported a very sharp decline in museum-going rates among millennials in their 20s and 30s. Why? Well, these days there’s significant competition for leisure activities, and young people are increasingly motivated and inspired by what they encounter on social media. Therefore, it’s crucial your museum maintains a strong presence on these digital channels and connects directly with users. That means if a customer reaches out to you on Twitter to ask a question about opening hours on a bank holiday, or whether a particular exhibition is suitable for their child, be sure to engage with them and respond, preferably within 24 hours. There’s nothing worse as a customer than getting in touch and not getting a reply back. Conversely, a helpful and personalised response makes customers feel valued by your museum, resulting in a massively improved customer experience. Similarly, if customers post responses to your activities on social media, be sure to interact with them too – share the love if they’ve taken a great photo of an event on Instagram or if you appreciate their comments on Twitter about a recent exhibition they attended at your museum. Social media offers unique opportunities to connect, engage and communicate with your customers directly in a way that makes them feel special and shows you care about your museum customers – so don’t miss out on this chance to improve online customer experiences! Increasingly, museums aren’t simply leveraging technology to aid their booking processes, but they’re also using it to make their exhibitions more accessible, dynamic and immersive through mobile apps and AI technology. Take for instance the Brooklyn Museum’s ‘Ask’ app which uses iBeacon technology to give customers the opportunity to connect directly to historians, curators and experts to ask questions about the exhibition and get tailor-made responses right away! The British Museum in London has leveraged AI to give users a more interactive experience of their exhibits that provides them with additional information such as visualising missing parts of sculptures or imagining statues in their original context in the Parthenon. Technology makes these exhibitions more interactive and accessible, in particular for schools and younger visitors. These apps also mean users can revisit elements of your museum afterwards, and continue to engage with exhibitions long after they’ve left the building – meaning a great customer experience for them and a more long-term customer relationship for your museum. Museums receive approximately 55 million visits each year from students in school groups. A large proportion of those seeking information about your museum in advance and booking tickets online will be those organising group visits, such as for school or university groups. Therefore, it’s important to make it simple to book for large groups, to tailor experiences for younger visitors, and organise bookings en-masse. Museum software can help you manage bookings of all sizes with ease, whilst also providing the CRM capability to store information about customers so you can know them, and their specific needs, better for their next booking. Organising a trip for 60 students is difficult enough as it is, so give your customers a break and provide make their online customer experience of group booking for your museum that’s streamlined and intuitive. It’ll save them time and hassle, whilst also securing you a high-value customer that returns year on year. A large proportion of the customers coming to visit your museum will be tourists combining their experience with other cultural and culinary activities. Therefore, why not provide your customers with a streamlined customer experience by allowing them to book tickets for your museum alongside for instance, dinner reservations on package booking platforms like Lastminute.com? It saves them the time spent scouring multiple different booking channels and will make them more likely to select your museum over competitors. Ticketing software can help you manage your inventory across these multiple channels, and tailor allocations according to buying behaviour. For instance, a dinner and ‘night at the museum’ package will be a hit on a Saturday night, so use your museum software to distribute your Saturday evening tickets across package platforms. Customers will appreciate the time they save via booking as a package, and it’ll make their experience of your museum even special when combined with a local dinner too! To improve experiences for customers, first you need to understand them: what motivates them, what their pain points are and how they behave. That means data is key. If you’re simply selling tickets without gathering this valuable data on the way, you’re missing a trick. A ticketing software can provide you with insights into how your customers act online and interact with your museum online – providing you with valuable data insights that can help you to adapt your online experience to your customers’ needs. For instance, if your software shows that many customers book four tickets in one go, two of them for children, you’ll know you’re dealing with a large contingent of customers that are families. You then can use that data to inform your marketing and offer a single discounted ‘family ticket’ offer for relevant exhibitions – resulting in a great customer experience for all those customers booking online to bring their children to your museum. They’ll feel you’re looking out for them, and will save time and money in the process. To take your online experience to the next level, why not tease potential customers with a glimpse into your museum via a virtual tour online? Whilst you can’t beat viewing your exhibitions and events in the flesh, a virtual tour of your museum can make customers want to book online to come and see what you have to offer in the flesh! In addition, for those who can’t make it to your museum, whether that’s because they live in another country, can’t afford the exhibition or simply don’t have the time, a virtual tour brings your museum to people in the comfort of their own homes. This makes for a great customer experience, enhances the accessibility of your museum and really gives users a taste of what your museum is like. Users online are more concerned than ever about their data and their security online. A recent survey showed that 51% of global internet users are discouraged by a lack of trust online, choosing not to purchase online for that reason. Therefore, give your customers a comforting and reliable online experience by allowing them to book tickets to your museum via ticketing channels they already know and trust. This means they’ll be more likely to complete their booking online and in advance, since they don’t have to register and get to grips with new booking channels. 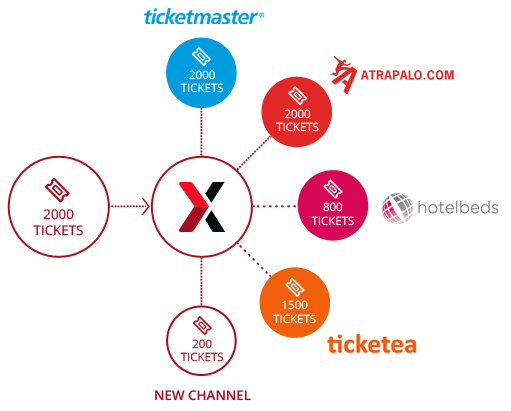 All-inclusive museum software platform helps you to manage your inventory effectively, control and manage your sales across a variety of well-known ticketing channels that you feel comfortable working with. This ultimately results in more tickets sold for your museum, and a more positive and stress-free booking experience for your customers. Therefore, it’s crucial to see customers’ online experience of your museum as just as important as their in-person experience when they arrive at your doors. 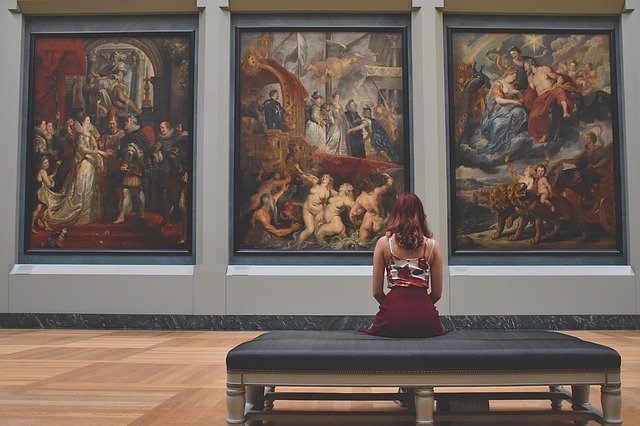 In the very competitive landscape of museums, in which demands on your customers’ time and money are fierce, a great experience booking online could mean the difference between a one-time passer-by and a regular visitor to every exhibition available at your museum. This can seem like a daunting task, but integrating and distribution software, and having a platform which enables you to manage sales across channels, can drastically enhance your online customer experience right away. With data insights, the ability to manage multiple channels at once, an easy-to-use booking interface, Onebox will help you to improve and personalise your museum’s online customer experiences, enforced by customer data, business intelligence and CRM.